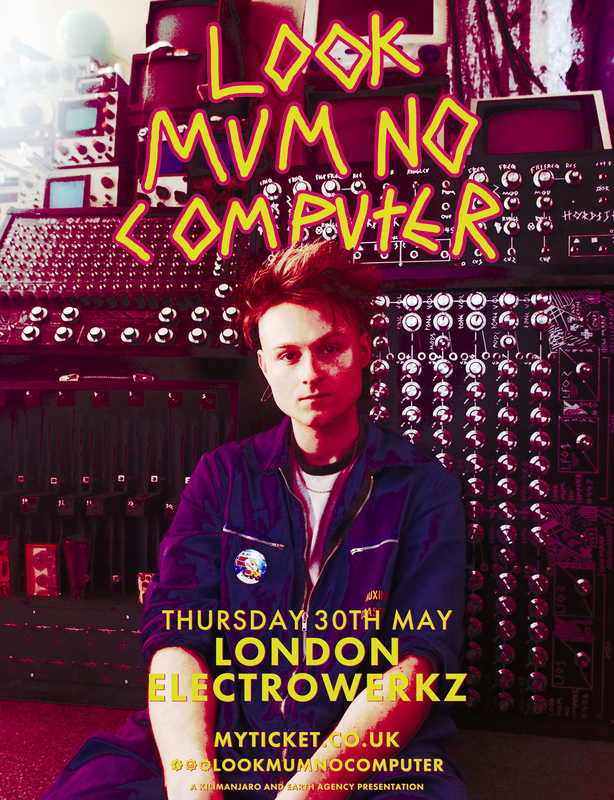 Look Mum No Computer is a London based live electronic artist who takes his home made machines on the road to play loud music. Usually found in the workshop cooking up a new instrument, he avoids computers like the plague (unless he’s got to send an email). He’s a multi disciplinary artist with exhibitions of his work under his belt as well as many live shows; from squat raves in Berlin to Warehouse setups in London. You might have seen some of his inventions floating around the internet, from Bikes that have Synthesisers and drum machines built into them to 5000 Volt Jacobs ladder and Tesla coil Drum machines, all the way over to Flamethrower organs. Coupling these inventions with big songs the Look Mum No Computer live show is well worth checking out, as well as great music you’ll probably see a new home made obscure machine playing some beats.